Recruiting Hollywood A-listers for help, Reiner paved the way for passage of a tobacco tax to fund programs for California's youngest children — and helped to spread a national movement. This article is part of a series about First 5 — a tobacco tax initiative in California passed by voters 20 years ago to fund services for young children, from birth to kindergarten age. The series is supported by a University of Southern California 2018 Center for Health Journalism fellowship. Even before filmmaker Rob Reiner launched Proposition 10 in 1998 — a tobacco tax campaign to fund services for young children in California — he was working to draw the nation’s attention to early childhood development through his I Am Your Child Foundation and a series of “First Years Last Forever” videos on parent-child interaction and early development. “For early childhood, that was surreal to have that kind of limelight on us,” Scott Moore, CEO of Kidango, a nonprofit that runs early learning programs in the San Francisco Bay area, said in an interview. He added that he “shared the stage” with Reiner years later when the actor was campaigning for his second early-childhood ballot measure that would have taxed wealthy Californians to pay for universal pre-K. The measure didn’t pass. Along with Hollywood A-listers and having the ear of then-President Bill Clinton and first lady Hillary Rodham Clinton, Reiner communicated in everyday language what was then emerging research about brain development during the prenatal period and the early years of development. “Startling new scientific discoveries have given us insight about the emotional and intellectual development of a child and what we as parents can do during those first three years of life to affect what kind of person he or she will turn out to be,” he said in the opening of videos about the research. 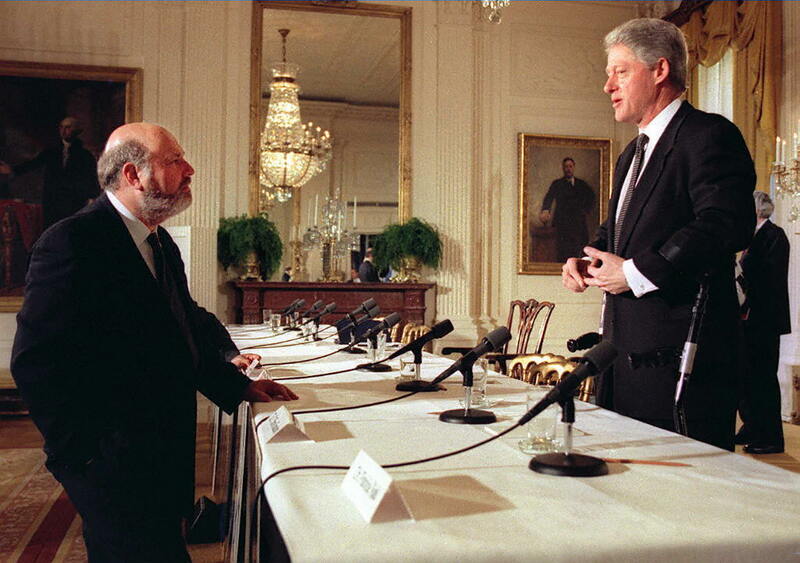 Rob Reiner with President Bill Clinton at the White House Conference on Early Childhood Development and Learning in 1997. After serving as deputy chair and senior program officer at the Carnegie Corp. of New York, which published a report that helped to inspire Reiner’s activism, Levine led Reiner’s nonprofit organization. He remembers sitting in a car with actor Tom Hanks in Virginia, killing time between shoots for a primetime ABC special featuring a home-visiting program for new parents. “All the stuff we’ve learned about toxic stress, the ACEs stuff — it was pretty forward-looking stuff,” said Levine, referring to adverse childhood experiences, such as poverty, abuse or neglect, or having a family member in prison. Research shows that multiple such experiences in early childhood can impede learning and have long-term consequences on health. Joey Freeman, policy director for California Lt. Gov. Gavin Newsom, a Democrat and the front-runner in the governor’s race, agrees. “After 20 years, the lieutenant governor believes that brain science proves Prop 10 got it right,” he said in an email. While those in “Democratic circles” were more accepting of the message, Levine said, Reiner also worked to build bipartisan support among Republican governors such as Pennsylvania’s Tom Ridge and George Voinovich of Ohio. But some questioned whether it was premature to make policy recommendations based on PET scans of babies’ brains. And experts in the scientific community were uncomfortable with the suggestion that children who miss out on nurturing and stimulating learning environments in the critical early years would not be able to recover from those deficits through later intervention. “Advocates and scientists got nervous around the messaging of the brain science,” Levine said. Still, Reiner inspired advocates in other states and cities to launch early-childhood ballot initiatives, such as the successful universal pre-K initiative in Florida and the First Things First measure in Arizona in 2006. And while preventing smoking among youth was part of the nationwide tobacco settlement, also 20 years ago, Reiner “helped make the use of tobacco funds legitimate and connected to early childhood,” Helen Blank, the director of child care and early learning for the National Women’s Law Center, said in an interview. Nationally, the attention he brought to the early years also helped advocates push for an expansion of the federal Early Head Start program and a set-aside for improving the supply and quality of infant-toddler programs in the Child Care and Development Block Grant, which became law with the 2014 reauthorization. 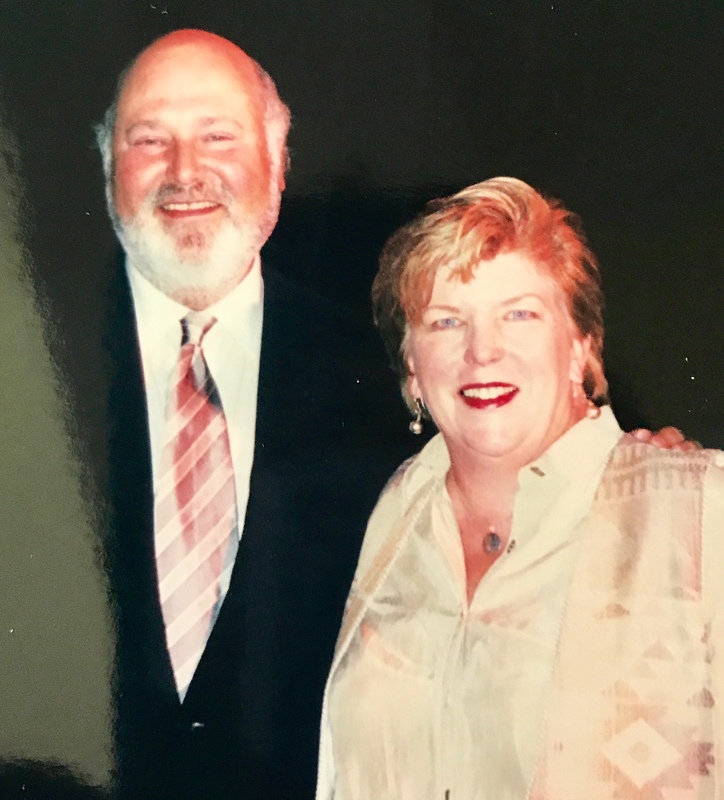 Reiner with former California State Superintendent of Public Instruction Delaine Eastin, who served as co-chair of the Proposition 10 campaign. Former California education chief Delaine Eastin, who came in sixth in the June primary race for governor, served as co-chair of the campaign for Proposition 10. She said in an interview she wished the initiative had included a stronger emphasis on preschool.